First we’ll start with the anterior compartment muscles. These are of course, anterior assuming the arm is in the anatomical position. In general, these are the flexors of the wrist and fingers and pronate the forearm. There is a superficial layer and a deep layer of muscles. Most of these originate from or near the medial epicondyle of the humerus. Remember the medial one is the larger condyle of the humerus. Most of the distal tendons are held in place at the wrist by the flexor retinaculum which forms the carpal tunnel. 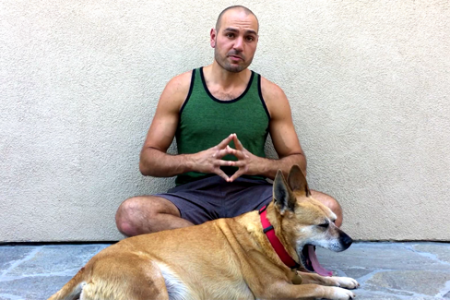 Pronator teres: Pronator teres pronates the forearm, turning the hand posteriorly. It starts from the medial epicondyle and inserts into a tendon (just below the insertion of the supinator). Pronator quadratus is a square shaped muscle and when it contracts, it pulls the lateral side of the radius towards the ulna, thus pronating the hand. Tendon of Palmaris Longus: The palmaris longus tendon is what covers the entire palm of the hand. 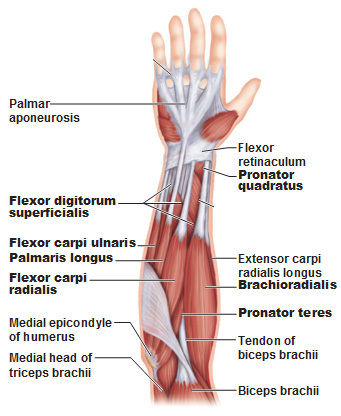 Tendon of Flexor Carpi Radialis (immediately lateral to tendon of palmaris longus). Carpi refers to “wrist” (in Greek, carpi means to pluck). 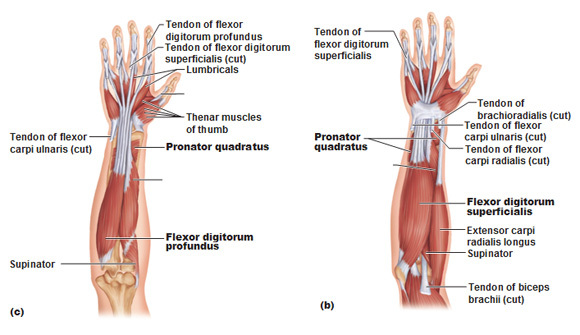 Tendon of Flexor Digitorum Superficialis (immediately medial to tendon of palmaris longus) are the ones near your wrist. muscles of the ant/ventral forearm: the photo on the left shows muscles that are deep to the ones on the right. Most of these originate from the lateral epicondyle. 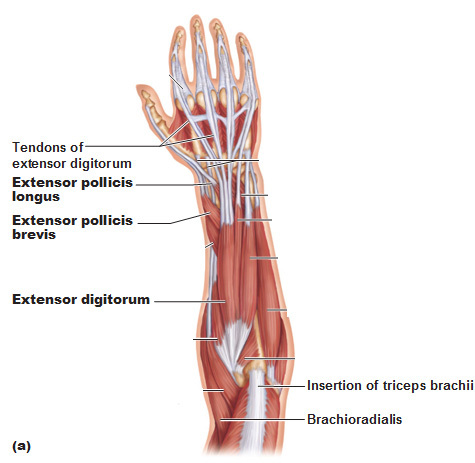 Most of the tendons are held in place at the wrist by the Extensor Retinaculum. 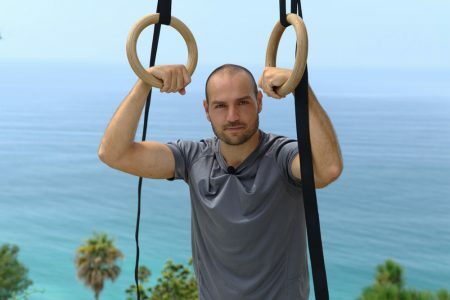 These are extensors of the wrist and fingers and supinate the forearm. 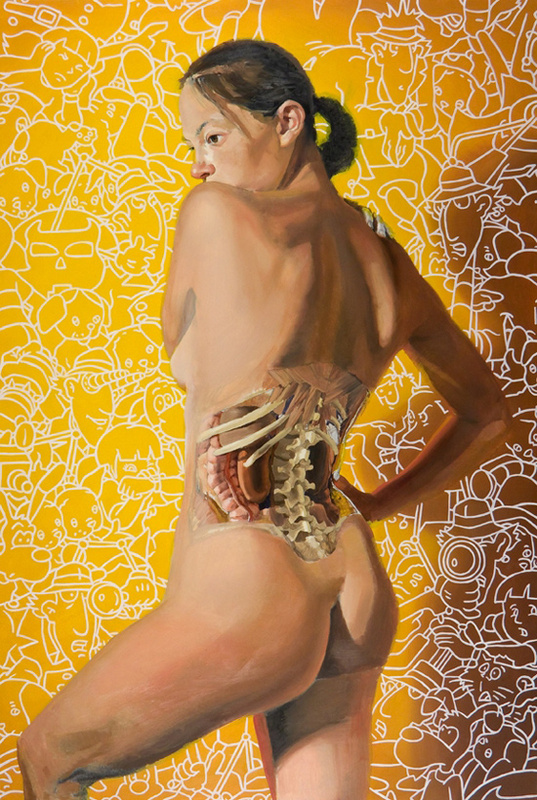 Again, just like the anterior compartment there is a superficial and deep layer. 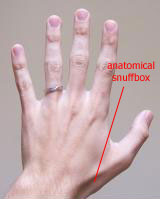 Anatomical Snuffbox (from medial to lateral) comprised of the tendons of the extensor pollicis brevis and extensor pollicis longus. In the picture, the longus is the tendon on top and the brevis on the bottom. Also, pollicis means thumb in latin. If you keep your hand flat on a table and move only your thumb up, it’s called retropulsion, and it’s created by the contraction of the extensor pollicis longus. 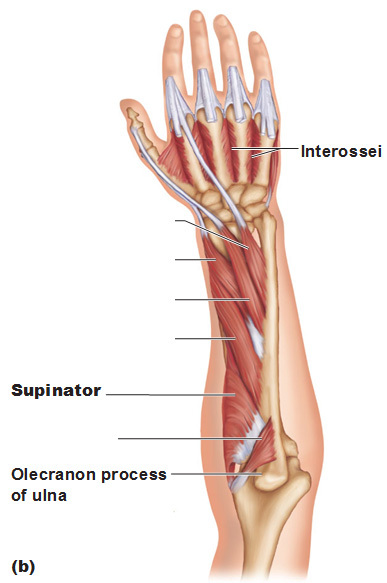 The supinator muscle helps uncross the radius from the ulna. 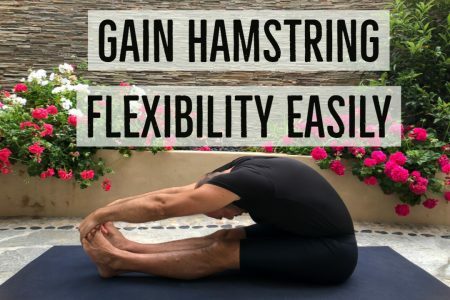 The bicep can do the same because the bicep inserts into the radial tuberosity as well.